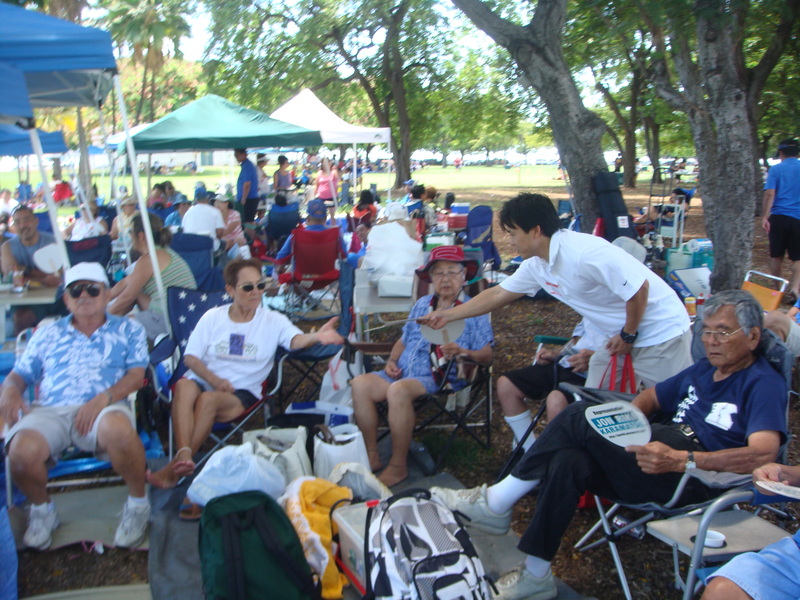 Thank you for your support at our August 26, 2009 fundraiser at Royal Hawaiian Hotel and also to those of you who could not make it but sent your positive energy to us! 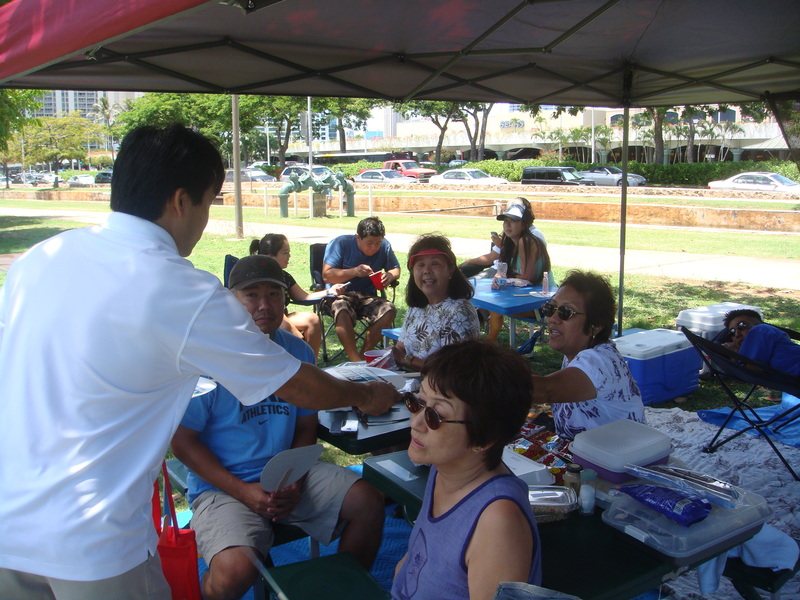 Mahalo to Luella Costales for coordinating the event and all our volunteers. Pictures and video of this event will be available in the near future. Again, thank you so much! 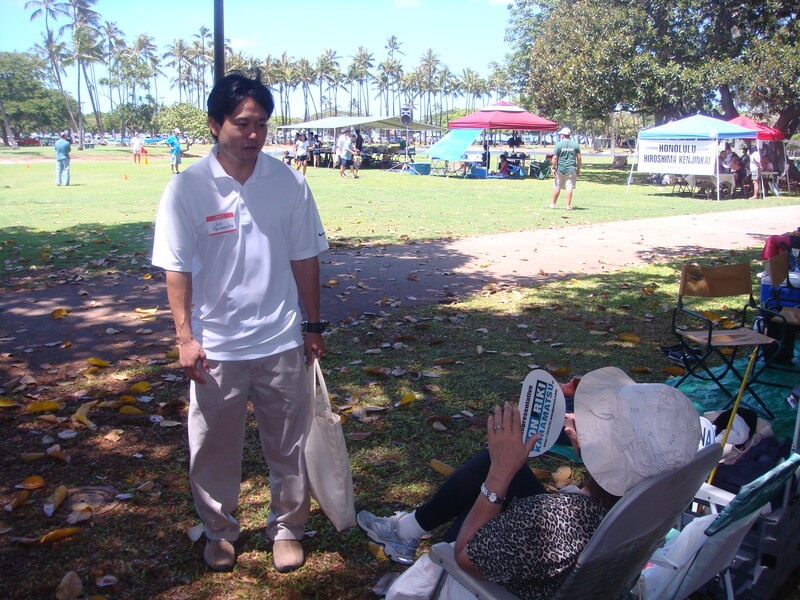 I attended the Maui Fukushima Kenjinkai Picnic on Sunday, August 23, 2009 from 9:00 A.M. – 1:30 P.M. at Paia Mantokuji Mission Fellowship Hall. 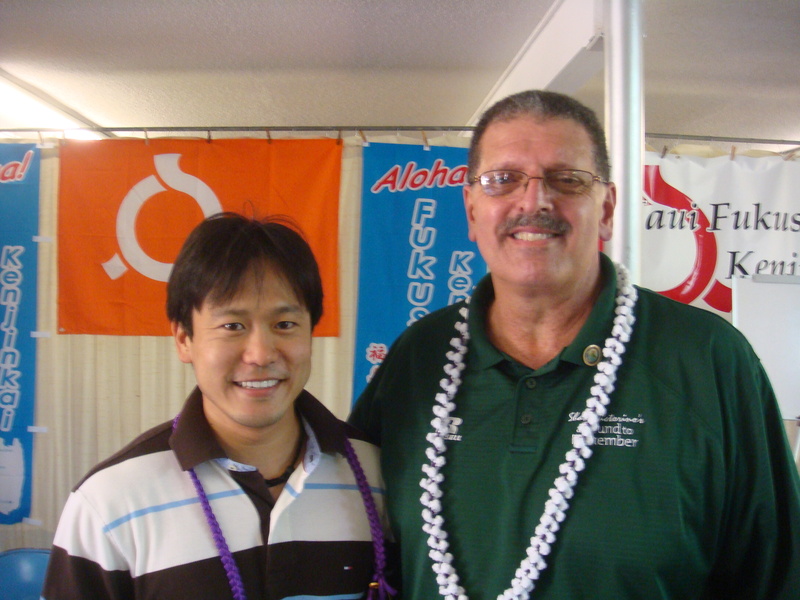 I saw Maui Councilman Mike Victorino there. 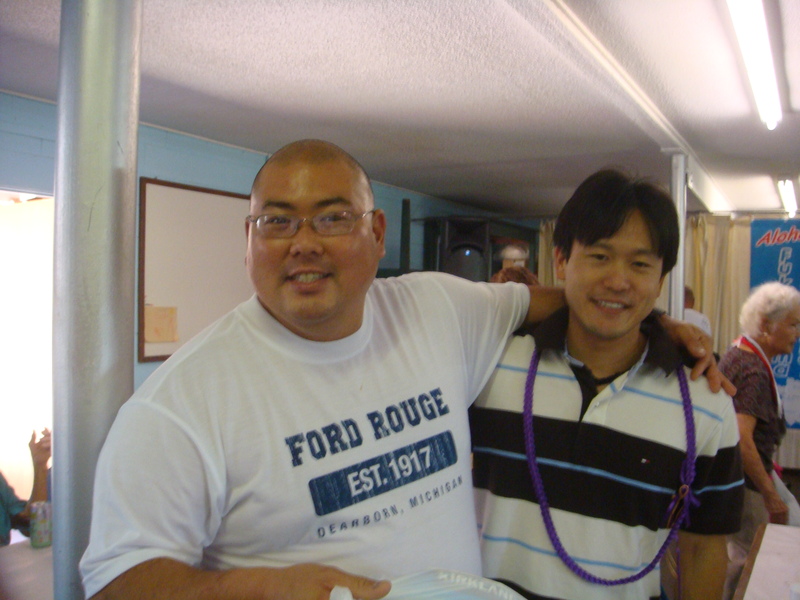 Rep. Jon Riki Karamatsu & Maui Councilman Mike Victorino. My dad's friend from their Jaycee days. He took us legislators and staff during a break from a conference to see his son in the family room after a Phillies game in Philadelphia in July 2008. 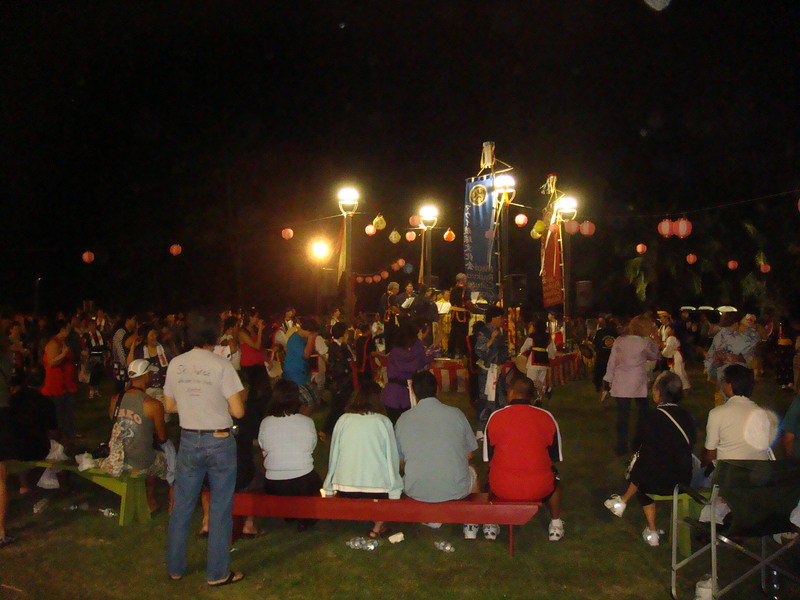 I attended the Paia Rinzai Zen Bon Dance (Okinawan Bon Dance) in Maui on Saturday, August 22, 2009 from 7:00 P.M. The food was delicious. 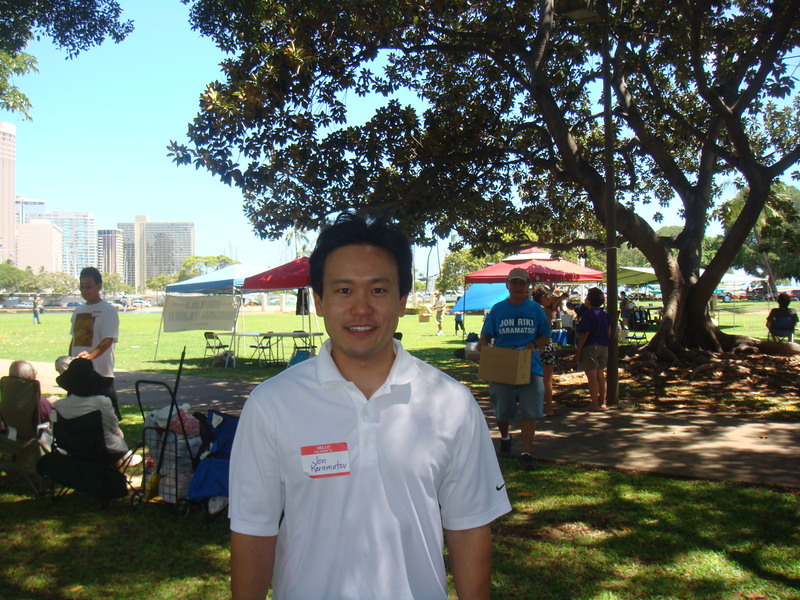 I got to meet a lot of new friends and some of Rep. Bob Nakasone’s friends. 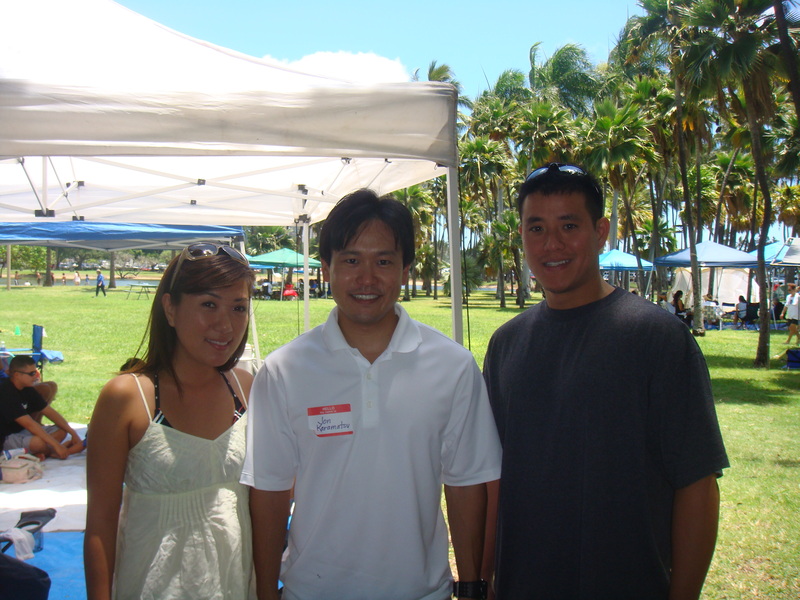 Rep. Kyle Yamashita and his family attended the event. I saw Rep. Gil Agaran there. 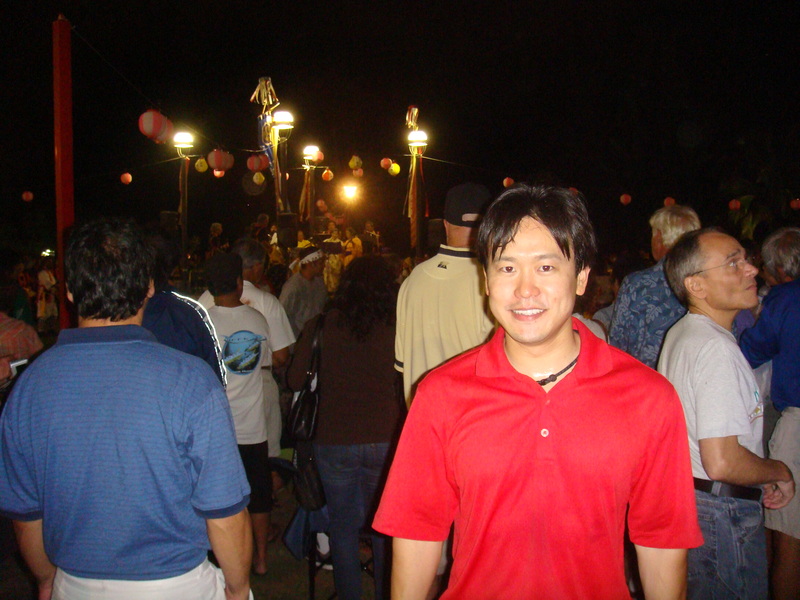 On Thursday, August 20, 2009 from 6:30 P.M. 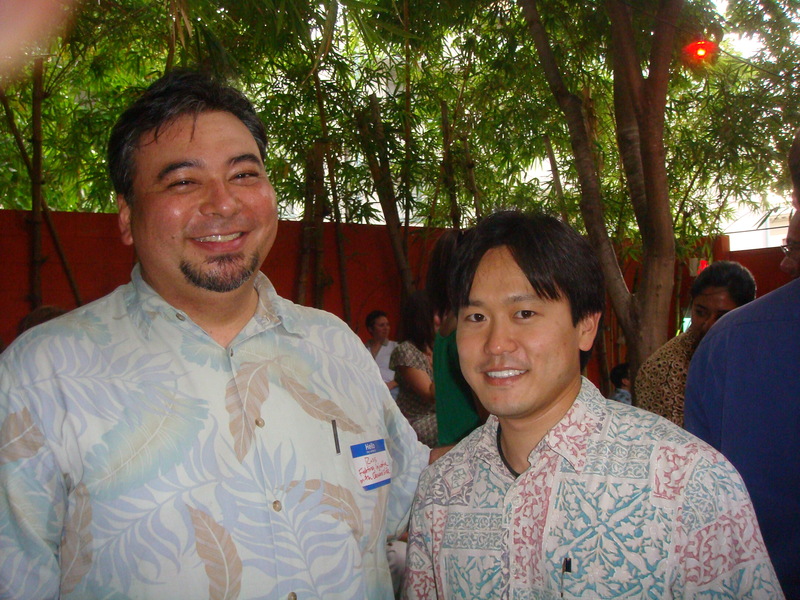 I attended the JustIce – A Mixer by Hawaii Legal Aid Society held at Bar 35. 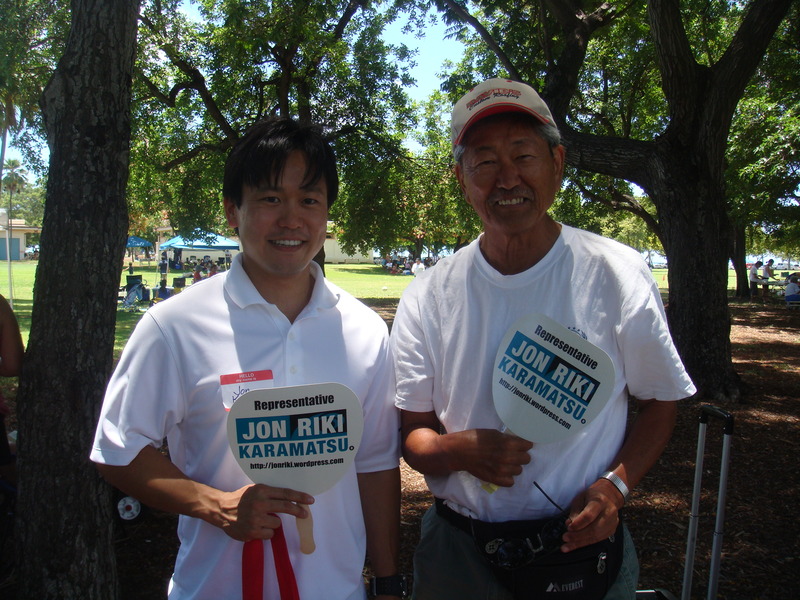 Russ Awakuni & Rep. Jon Riki Karamatsu. Russ and Jon were in the Young Democrats in the mid-1990s. 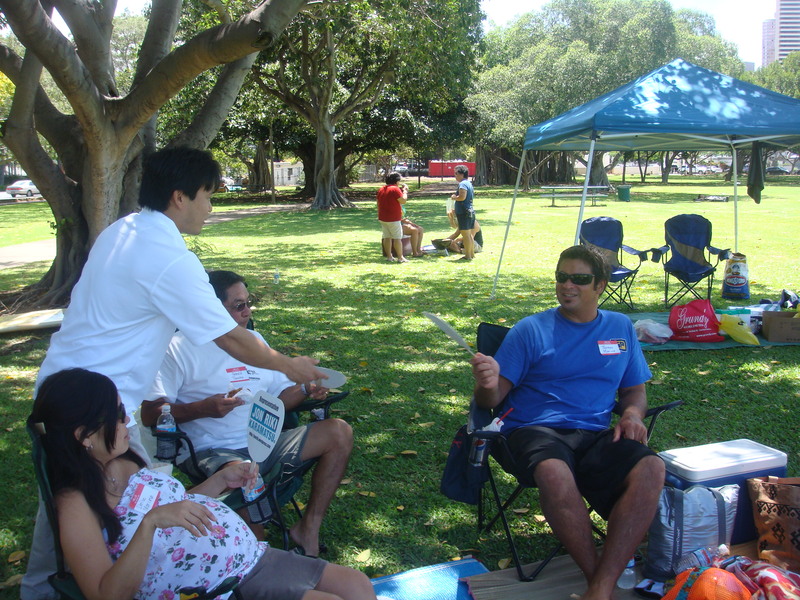 I greeted members of Ginowan (Okinawa) Kenjinkai at their picnic at Ala Moana Beach Park on Sunday, August 16, 2009. 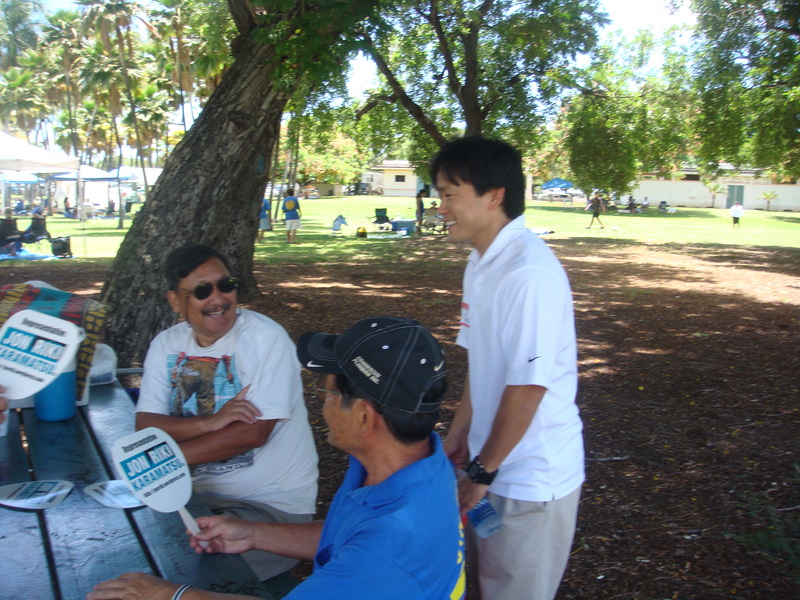 I saw friends, friends of my father, and Rep. Ryan Yamane and his family, and Arnold Wong and his family. 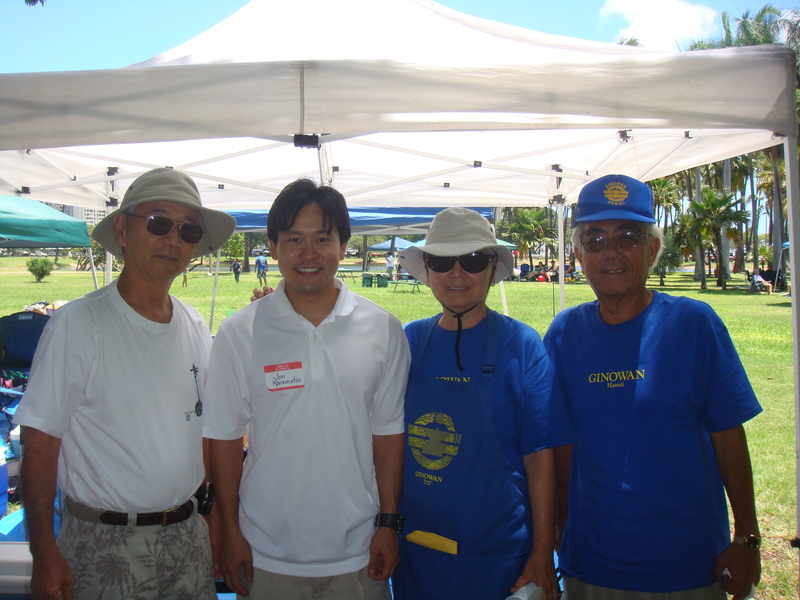 Friends from left to right: Stan Higa, Rep. Jon Riki Karamatsu, Christine Higa, and Stan's brother. With my friend Shannon Higa and her friend. 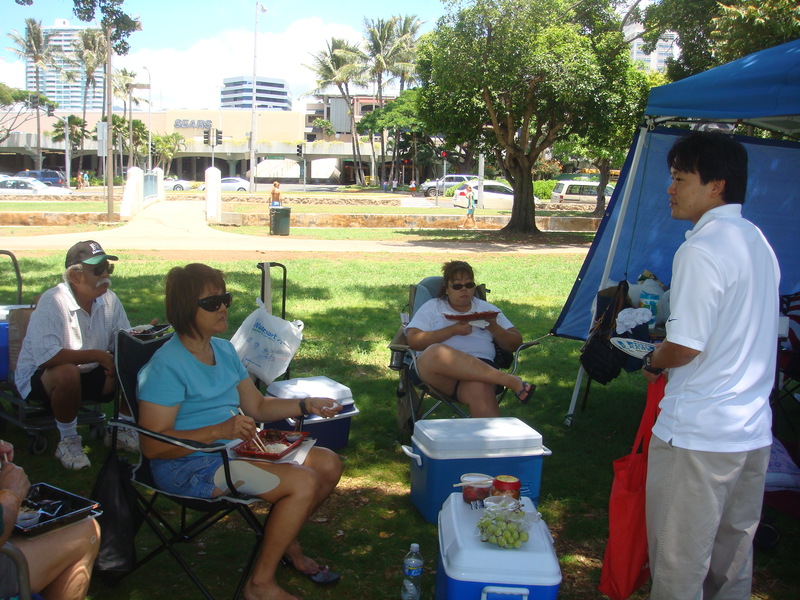 I greeted members of Urasoe (Okinawa) Kenjinkai at their picnic at Ala Moana Beach park on Sunday, August 16, 2009. 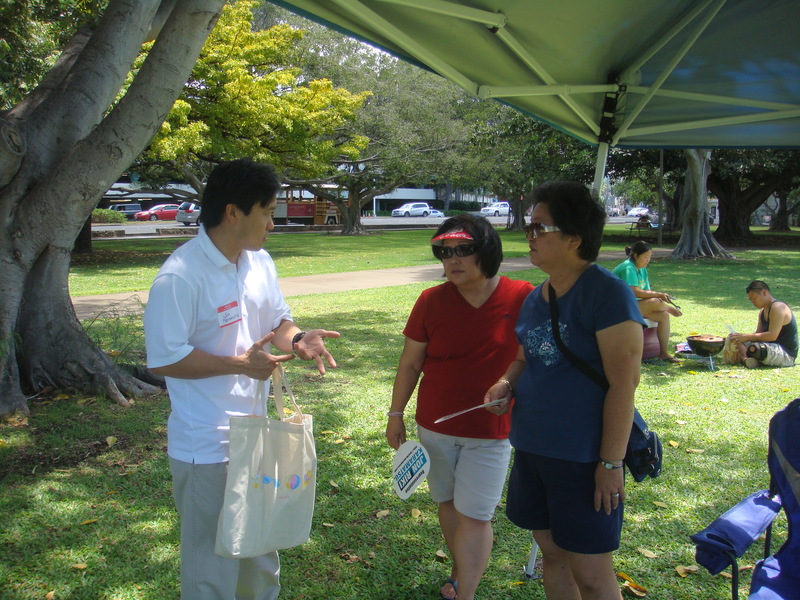 I saw Rep. Maile Shimabukuro and her family there as well. 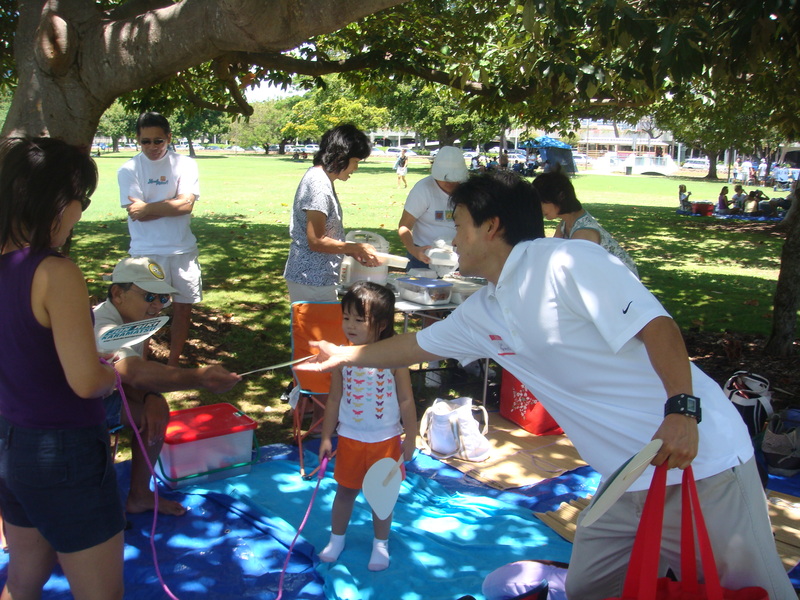 I attended the Hiroshima (Japan) Kenjinkai Picnic on Sunday, August 16, 2009 from 11:00 A.M. to 2:30 P.M. at Ala Moana Beach Park. I have ancestors from Hiroshima, Japan through my grandma Bessie Karamatsu’s family or the Okubo family.